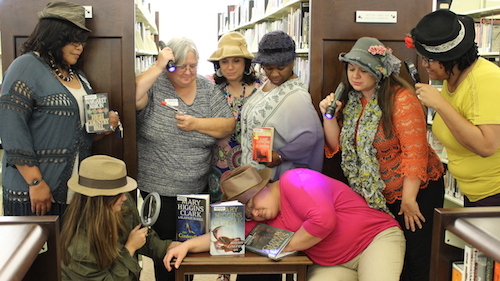 Enter your library for a chance to receive a $1000 grant from Sisters in Crime! 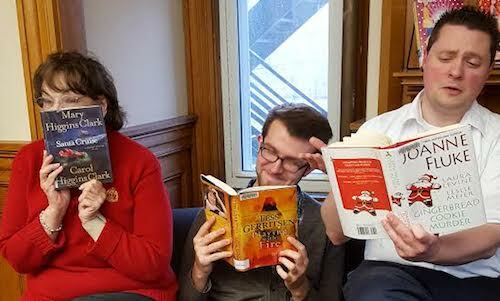 To enter, complete the entry form and upload a photo of one or more of your staff with three books in your collection by three different Sisters in Crime members. After the random drawing on the last business day of the month, the winning library will be contacted and announced. All branches within a larger system may enter. Those not successful in one month will automatically be entered for subsequent drawings. 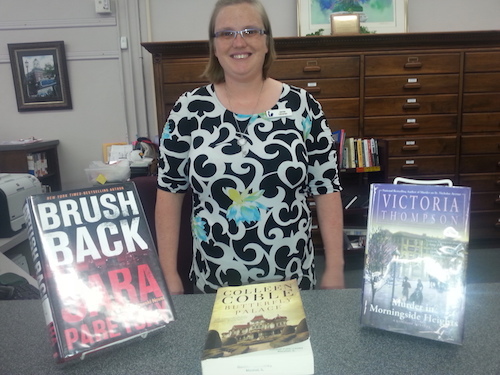 Grants must be used to purchase books and may not be used for general operating expenses. 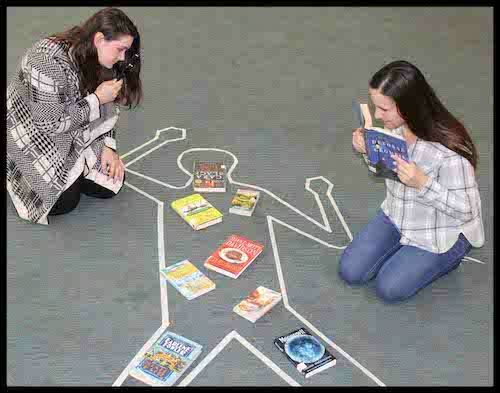 Book purchases are NOT restricted to the mystery genre or to those by Sisters in Crime members. There is no cost or obligation other than allowing us to post winners' photos on our website. If you have Sisters in Crime author mysteries in your collection we would love for you to enter. You can find a list of our members who are authors by navigating to our top menu drop-down menu and look under Resources --> Author Search. 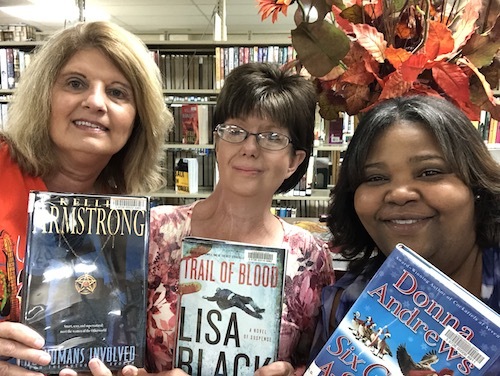 The Doris Ann Norris We Love Libraries grant celebrates the service of SINC's longtime Library Liaison to the library and mystery communities. 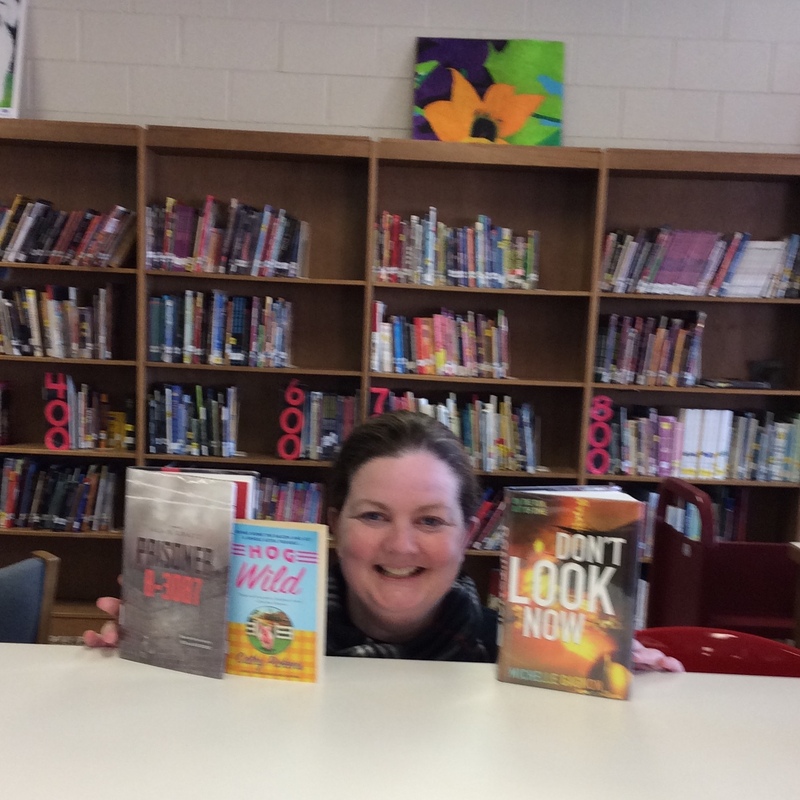 July 2018: Peachtree City Library in Peachtree City, GA.
June 2018: Landrum Middle School in Landrum, SC. May 2018: Yorba Linda Public Library in Yorba Linda, CA. 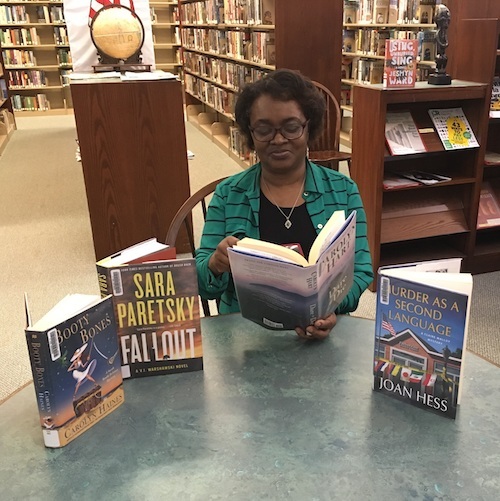 April 2018: Carteret Free Public Library in Carteret, NJ. March 2018: Kinchafoonee Regional Library in Dawson, GA.
February 2018: Uxbridge Free Public Library, Uxbridge, MA. January 2018: Mississippi Gulf Coast Community College in Perkinston, MS.
December 2017: Marshall Public Library in Marshall, IL.